The Mississippi River Water Trail (MRWT) passes through the heart of North America and is deeply rooted in natural scenic beauty, Native American heritage and cultural history. Known as Father of the Waters, the Mississippi River provides an adventure like no other for visitors. 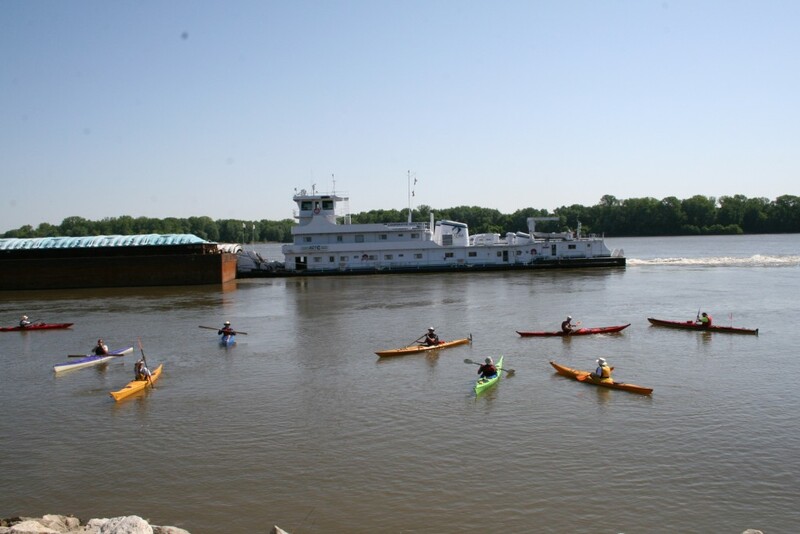 The trail encourages people to experience their Mississippi River from a boat, much like Huck Finn and Tom Sawyer, and offers days use areas, primitive camping, wildlife viewing, special event and programming and numerous other educational opportunities. Pool 24 - Lock & Dam 22/Saverton Access; river mile 301.0;Cincinnati Landing; rm 296.5; Dupont Conservation Area; rm 294.1; Cottonwood Island; rm 290.0; Willow Access-North; rm 288.5;Willow Access-South; rm 286.5; Ducher Island; rm 286.5; Salt River Boat Ramp; rm 284.2; Two Rivers North Access; rm 283.2; Louisiana Riverfront; rm 282.7; Gosline Access; rm 280.6; Gosline Island; rm 280.0; Paddler’s Pass; rm 279.4; Cash Island; rm 278.0; MDC Calumet Creek Access; rm 277.0; Silo Access; rm 276.0; Pelican’s Point; rm 274.4; Calumet Creek Paddle-Inn; rm 277.0; Pleasant Hill Boat Ramp; rm 273.6; Lock & Dam 24 Overlook; rm 273.5; Silo Access; rm 276.0; Pelican's Point; rm 274.4; Calumet Creek Paddle-Inn; rm 277.0; Pleasant Hill Boat Ramp; rm 273.6; Lock & Dam 24 Overlook; rm 273.5; Pool 25 - Clarksville Riverfront; rm 273.0; Rip Rap Landing; rm 265.0; Mozier Island; rm 260.8; Hamburg Ferry Public Fish Access; rm 258.5; Village of Hamburg; rm 258.5; Prairie Slough Conservation Area; rm 257.0; Westport Island; rm 257.0; Red's Landing-River; rm 254.1; Red's Landing-Backwaters; rm 253.0; Gilead Gap; rm 252.3; Norton Woods Access; rm 252.0; Hurricane Access Area; rm 250.9; Gilead Access Area; rm 250.9; Large Stag Island; rm 247.7; Mississippi River Access; rm 247.4; Prairie Pond Access; rm 246.0; Jim Crow Island; rm 245.6; Foley Access Area; rm 245.0; Cockrell Hollow Access; rm 244.5; Sandy Chute/Lock & Dam 25; rm 247.1; Pool 26 - Cuivre Island; rm 236.8; Cuivre Island Access; rm 235.4; Oriole Island; rm 229; Royal Landing Access; rm 223; Pohlmann Slough Access; rm 221.5; Pohlmann Slough Access; rm 221.3; Pohlmann Slough Access; rm 221.0; Silver Lake Access; rm 220.0; Perry Island Access; rm 220.0; Sherwood Harbor; rm 219.0; Grafton City Boat Ramp; rm 218.0; Slim Island Access; rm 216.0; St. Charles County - Hideaway Harbor; rm 214.4; Elsah Access; rm 213.6; Piasa Harbor Boat Access; rm 210.0; Piasa Island Access; rm 209.0; Dresser Island Access; rm 207.6; Spatterdock Lake Access; rm 206.0; Alta Villa Access; rm 205.8; Alton Lake Access; rm 204.6; Lincoln Shields Access; rm 203.0; Alton Riverfront Access; rm 202.1; Teal Pond Access; rm 202.0; Ellis Bay Access; rm 201.0; Ellis Island; rm 201.0; Pool 27 – Maple Island Access; rm 200.6; National Great Rivers Museum; rm 200.6; Maple Island; rm 198.5; Lewis & Clark Memorial; rm 195.0; Canal Access; rm 194.0; Columbia Bottom Paddle Access; rm 195.5; Locks 27; rm 185.5; Eagle Point; rm 184.0; St. Louis, Missouri; rm 180.0. The US Army Corps of Engineers, Rivers Project Office is home to the Mississippi River Water Trail. The Rivers Project provides recreation, environmental stewardship and interpretive services and outreach for communities along 300 miles of the Mississippi River and 80 miles of the Lower Illinois River. The project consists of 50,000 acres of public land and 67,000 acres of water which lie in 2 states, 13 counties and 7 congressional districts. The development of the Mississippi River Water trail is an innovative approach to provide high quality, low cost outdoor recreation while encouraging low-impact use of public lands and promoting stewardship of natural resources along the river. The water trail promotes the Mississippi River in a safe and environmentally friendly way by educating the public on leave no trace concepts and promoting safety on the river. Local communities have engaged the Corps and become valuable partners in this effort to showcase the River and provide safe, low cost access. 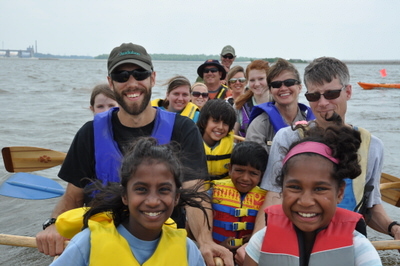 In 2005 the Rivers Project Office began development of the Mississippi River Water Trail. 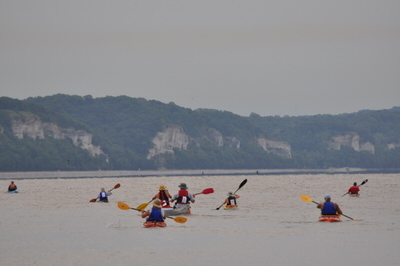 In 2007 a cooperative agreement was signed between the Corps of Engineers, American Canoe Association and the Mississippi River Water Trail Association to partner on the development and implementation of the trail. The Mississippi Water Trail acts as a conduit for telling the Corps story and fostering appreciation and support for the river, its habitats, and its importance as a transportation corridor and economic engine for our nation. 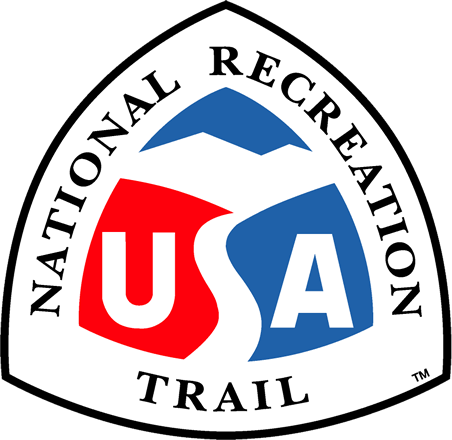 Recreation – The water trail provides high quality, low cost (O&M cost) outdoor recreation and encourages people to get outside. 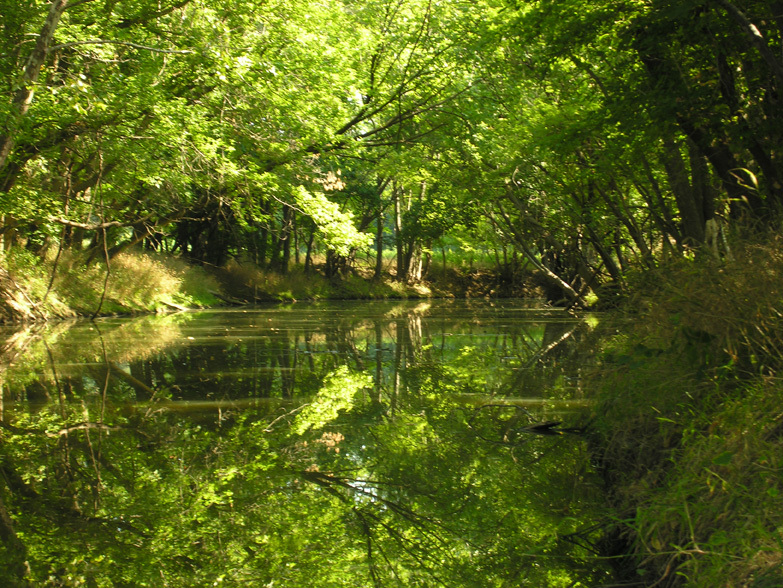 Environmental Stewardship – The water trail allows people to intimately interact with nature and learn how to become good stewards of public lands. Navigation – The water trail exposes people to our navigation mission and encourages safe river use and the river as a shared resource. Paddlers are exposed to navigation (traffic), locks and dams, and the need for river training structures and the 9 foot navigation channel. Education & Interpretation – The water trail engages a new group of users and through outreach we are able to interpret our missions and educate people about the river while encouraging good stewardship of public lands. It also provides the opportunity to encourage people to get outside and get active. The water trail allows us to reconnect Americans, especially children, to America's rivers and waterways by creating corridors and connectivity across outdoor spaces. Paddling provides the vehicle for getting people to/on the river so they can reconnect and gain a respect for the river. The water trail serves as a ribbon connecting public lands along the river and promoting the public’s use of these lands. It helps foster a respect for water and the importance of the Mississippi River to our country and the world. The water trail development has brought Federal and State landowners together with river communities and reinforces the collaboration for conserving public lands for public use. The most important part of the trail development was working with the paddling community to develop a trail that they could take ownership of and support. During the planning effort strategic decisions were made to allow for further expansion of the trail within other reaches of the river with a goal of one day connecting all of the reaches of the river into one large water trail system. The numbering system, maps and video were developed and formatted so they could be shared with other agencies and organizations and used from the Headwaters to the Gulf to make the trail seamless. To make each segment of the trail unique and identifiable by location segment names were given to the “pools” or reaches. Pool 24/Pike’s Passage, Pool 25/Pinnacle Pass, and Pool 26/27 Bluffs Trail were all named using either significant historical or environmental features of each geographic location.